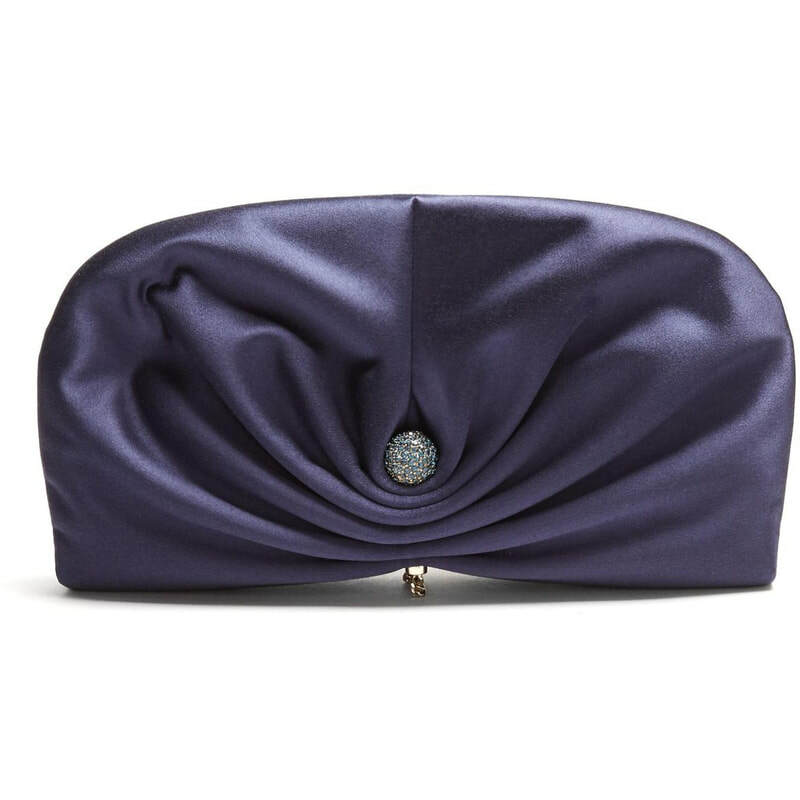 Jimmy Choo’s 'Vivien' clutch will lend bygone-era glamour to your evening edit. 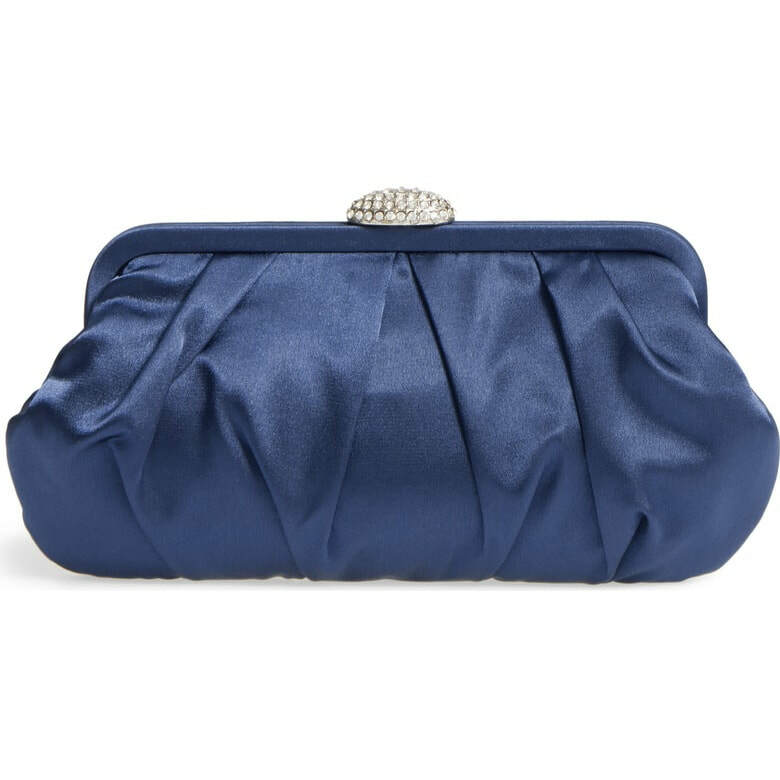 Made in Italy, it features a delicately ruched front and back that's held by a crystal-embellished ball, and is finished with a silver-tone metal chain. 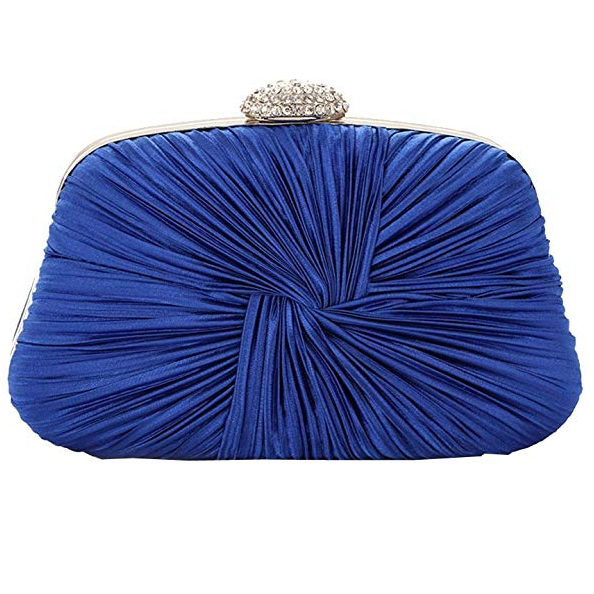 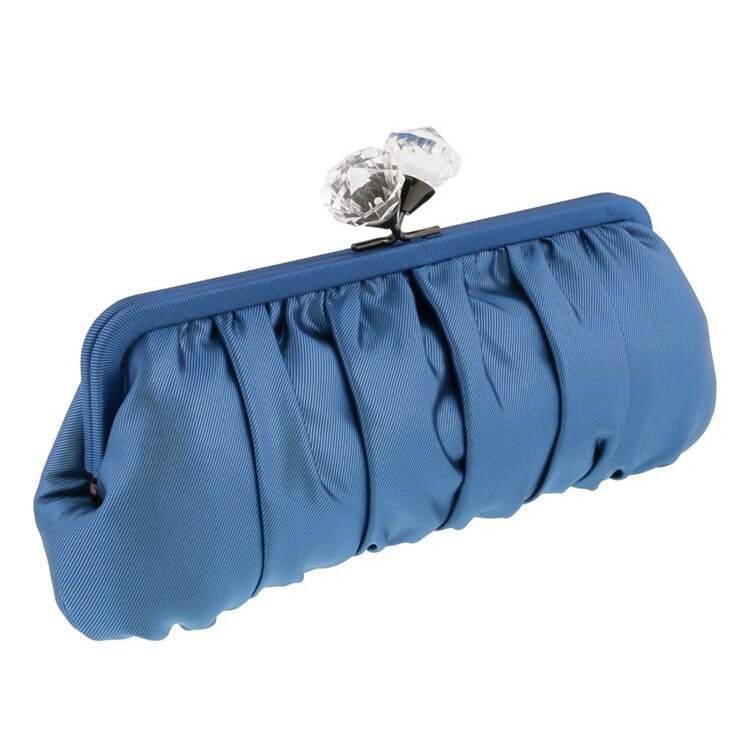 STYLE FILE: Jimmy Choo Vivien Blue Satin Clutch Bag as seen on Kate Middleton, The Duchess of Cambridge.